We begin to confront the thingness of objects when they stop working for us: when the drill breaks, when the car stalls, when the windows get filthy, when their flow within the circuits of production and distribution, consumption and exhibition, has been arrested, however momentarily. The story of objects asserting themselves as things, then, is the story of a changed relation to the human subject and thus the story of how the thing really names less an object than a particular subject-object relation. 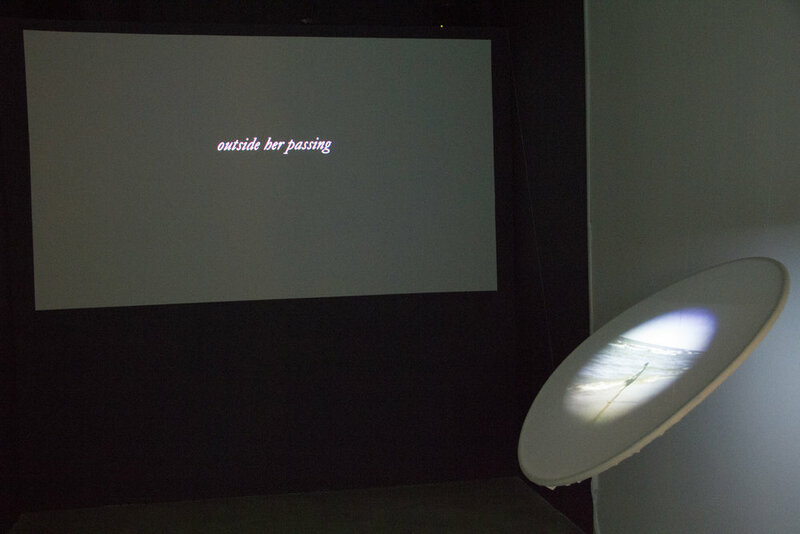 Two-channel video installation in which the relationship between a woman and a motorcycle gas tank has been exchanged. The gas tank no longer functions as a container for gas becomes another kind of container. The woman carries the gas tank to places it could never go in its previous life. The installation provides multiple perspectives on the woman and gas tank as subjects and objects.